Enjoy the comforts of easy travel while you stay in Prince George. 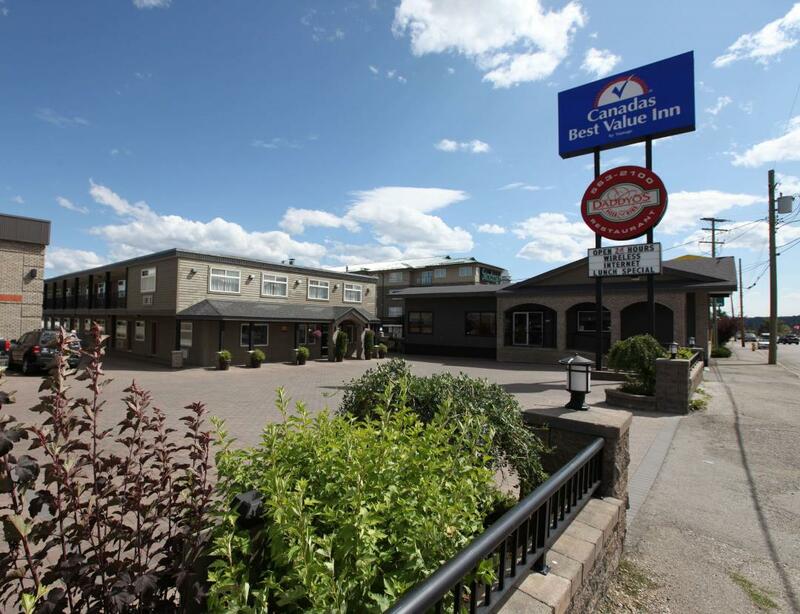 Canadas Best Value Inn Prince George offers the most value for your money when staying for business, pleasure, or just passing through. We offer clean spacious rooms, free coffee in the lobby, and Wi-Fi in all guest rooms and public areas. All guest rooms include coffeemakers, hairdryers, and cable TV. Take advantage of our extremely comfortable beds and relax while saving money year-round with our Kids Stay Free Policy (12 and under in parent's room). For those guests that are in town on longer term corporate assignments or business trips we also offer special corporate rates, as well as direct billing options. Additionally, all of our Canadas Best Value Inn guests can enjoy breakfast, lunch, and dinner at our on-site restaurant, Daddyo's Pizza and Ribs. For your convenience, our hotel offers non-smoking rooms. Pets are welcome, restrictions and charges apply. We are located close to the University Of Northern British Columbia, the Tabor Mountain Ski Resort, and the Central British Columbia Railway and Forestry Museum. We are located off of Highway 97. Canadas Best Value Inn Prince George is your best choice within the Northern Capital of British Columbia. We offer ideal accommodations and location whether you are in town for skiing, hiking, mountain biking, fishing, or simply passing through on your way to Vancouver. At Canadas Best Value Inn Prince George our goal is to provide our guests a great experience, not just a place to stay. At Canadas Best Value Inn Prince George - We've Got You Covered from the time you hit the road until your head hits the pillow. Enjoy daily continental breakfast coffee in the lobby. Check out these Prince George attractions during your stay.